For both scuba diving and snorkeling enthusiasts, the underwater adventures found in Turks and Caicos provide access to a colorful world of aquatic scenery and flourishing marine life. The waters are calm and warm for divers and serves as the ideal welcoming introduction for beginners embarking on their first underwater voyage. It’s also a comforting thought to know that many of the regions in Turks and Caicos are protected by the government both on land and under the sea. Turks and Caicos is home to one of the largest coral reefs in the world. It’s easy to find diving professionals and necessary equipment, but let’s not forget that one of the most important aspects of a pleasurable diving experience that should always be considered is the ability to see clearly underwater. Turks and Caicos has no shortage of sunny days to keep the waters from being too cloudy. The restful waters also offer an appreciable clarity that allows you to take in the beauty of life found under the sea. Furthermore, the sand and coral that complement this experience so well in Turks and Caicos happens to be part of the bottom composition that adds a rare sharpness and lucidity to the visuals here. What you’ll see when snorkeling or scuba diving is sure to resemble a dreamy scene filled with lush aquatic vegetation and biodiversity, with a backdrop of tranquil blue waters found at every turn. The coral reef is 17-miles long, and there are groupers, horse eye jacks, turtles, and bottlenose dolphins frolicking down under. The scene may be serene, but your adrenaline will surely be kicked into high gear when you see the reef sharks. In the eastern part of Provo lies Grace Bay, a tourist favorite that offers a plethora of activities to suit a wide variety of tastes. Filled with sun and fun, the beach is public and puts you in close proximity to Bight Reef or Coral Gardens for snorkeling. This spot is an easy one to find, and it’s also family friendly. 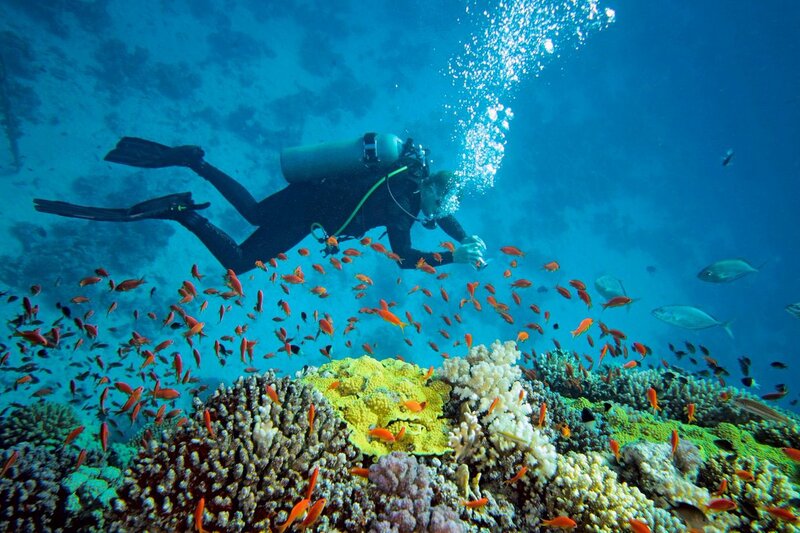 Crystal clear waters abundant with schools of fish and alluring coral makes Pine Cay a diving paradise. Your dive and your visit is sure to be peaceful at this coveted getaway for lovers of nature seeking eco-friendly adventure and an escape from the distractions of modern technology and inconveniences. Mudjin Harbor is found in Middle Caicos and located near Dragon Cay, a famous rock formation that resembles the shape of a dragon to many spectators. Getting here requires a bit of extra effort and the waters aren’t always as calm as the aforementioned locations, but snorkeling at this harbor is well-worth the journey. For a worthy trek above land, hike the trails while in the area.